We offer representation for both private and publicly funded matters. We also have a 24-hour emergency call out service enabling our criminal defence experts to attend police stations on request. We regularly attend the local courts but we also operate a national service for all of our clients. Dennings Solicitors prides itself on providing a tailor-made defence to all people who are accused of a crime. No offence is too complicated or too simple for us to defend. From public order or assault offences to the much more serious crimes, such as terrorism and murder. our criminal defence team will provide a professional and dedicated service. All work conducted is confidential from the point of consultation and we will keep you updated of all developments in your case. No! You always have the option of representing yourself. However, we would always recommend that you have a solicitor to help you explain your side of the story. 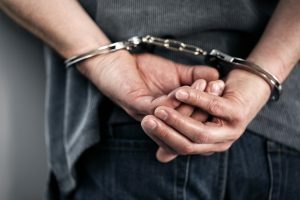 Whether you are innocent, being charged with a crime can be a daunting time and it can be difficult convincing a court without proper representation. If you instruct Dennings, you would be instructing a firm that cares about your case and is committed to providing you with an excellent service. In short, it depends on the allegation and your financial information. Dennings Solicitors routinely provides legally aided advice and representation at the police station and at court. Why not speak to one of our team and they will be able to confirm whether you would be eligible for legal aid. If you are not eligible for legal aid, we can still represent you. We will discuss fees with you and a payment plan if necessary. One of our solicitors will meet you at the court building before the hearing starts. They will go through the allegations with you and explain whether your case will be heard in the Magistrates Court or whether it will go to the Crown Court. Our advocates will discuss each option with you in detail, explaining the process and your possible outcomes. If you have been accused of a crime and you need some advice call us today: 0121 520 3599.